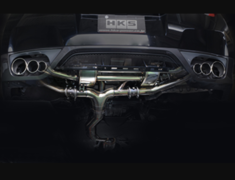 It is r-magic tune muffler RX-8 (SE3P/13B-MSP) for muffler. The previous owner [/ year] than I m/c before removal and so listed in the manufacturer HP models. Tail is a type of titanium slash cut. Stand out from the appearance judgment regarding using the distance is not known, but is seems to be. Is divided into two product of intermediate and tail. The State often please check on.